What’s the glue that keeps a community connected? 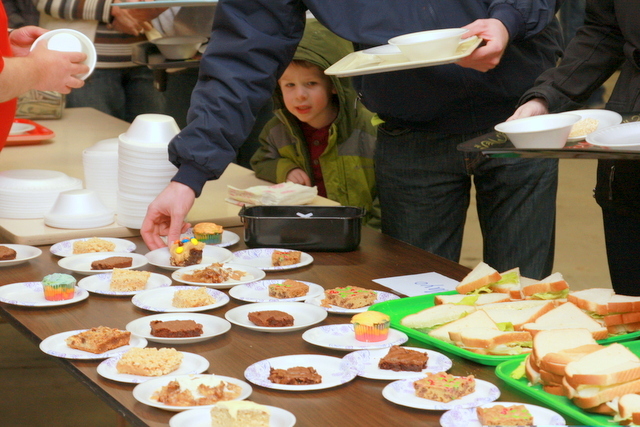 Around Lytton, Iowa, it’s food and fun at Lytton Town Night–and the homemade pie, of course. 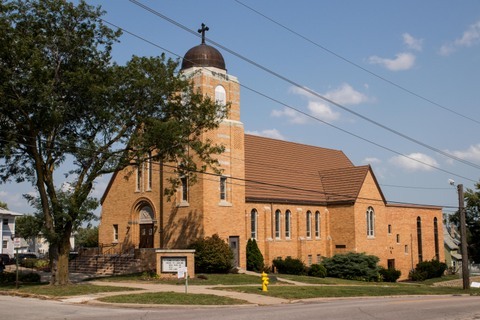 While Lytton, Iowa, celebrates Gala Days each year during Memorial Day weekend, planning and fundraising for this beloved 100+ year tradition starts months earlier. In fact, a key part of the process starts in that most iconic of all small-town gathering places—the church basement. 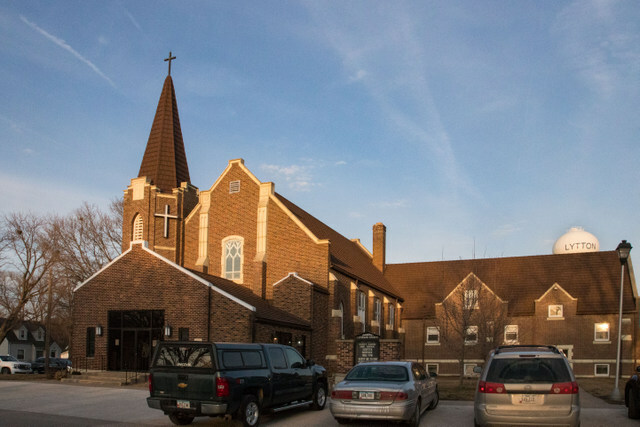 Emanuel-St John Lutheran Church in Lytton, Iowa, hosts Lytton Town Night meals throughout the winter. 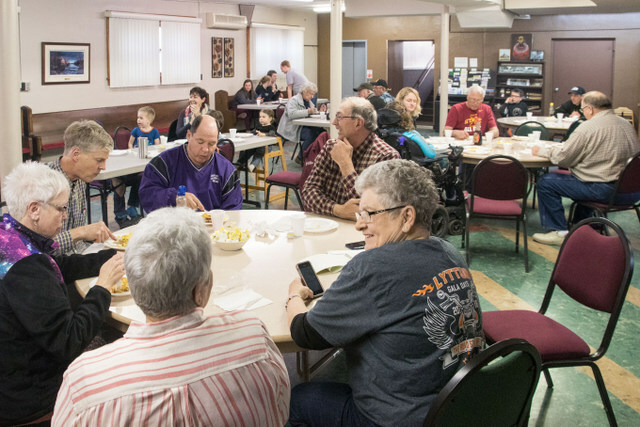 The basement dining area at Emanuel-St John Lutheran Church, whose congregation has roots dating back to 1883, provides a convenient setting for Lytton Town Night, which is held each Thursday evening from mid-January through March. Each Town Night offers a unique opportunity for the community to come together for free-will-donation meal to raise money for various causes and organizations, including Gala Days. 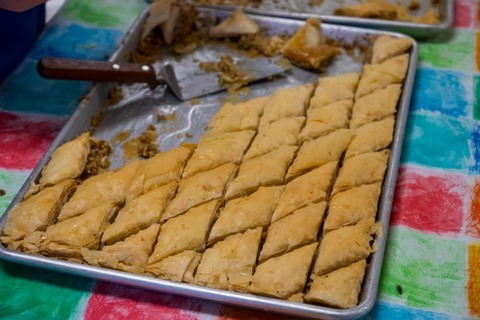 “Town Night is great, because there are a lot of fabulous cooks around Lytton,” said Nelda Bartels, a lifelong Lytton-area resident who often volunteers at Town Night. As word of Town Night has spread through the years, guests come not only from Lytton, but Lake City, Sac City, Rockwell City and beyond. 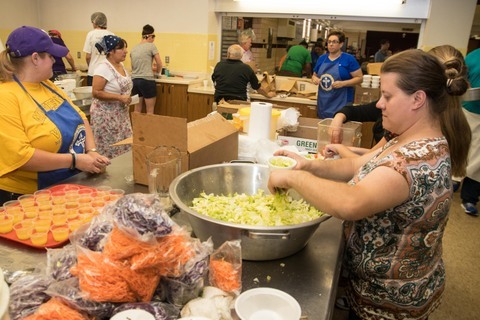 It’s not uncommon to serve a few hundred people at each meal. “It’s like one big family when everyone gets together,” said Wendy Miller with the Lytton Chamber of Commerce. Lytton Town Night includes groups like the Gala Days volunteers, the South Central Calhoun FFA chapter, 4-H clubs, civic groups and individuals raising money for worthy causes, including overseas mission trips. The Lytton Chamber of Commerce coordinates the schedule for Town Night, which allows eight to 10 different groups and individuals to host a Town Night meal during the winter, complete with home-cooked food. 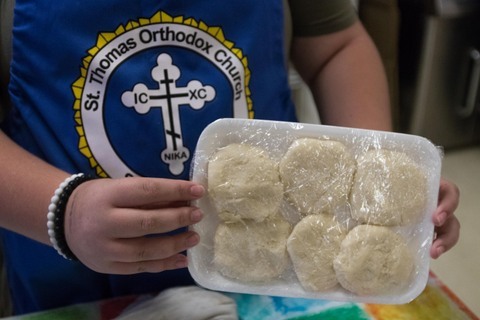 Some groups serve a selection of pasta casseroles, while others like the local FFA members serve pancakes and sausage links. 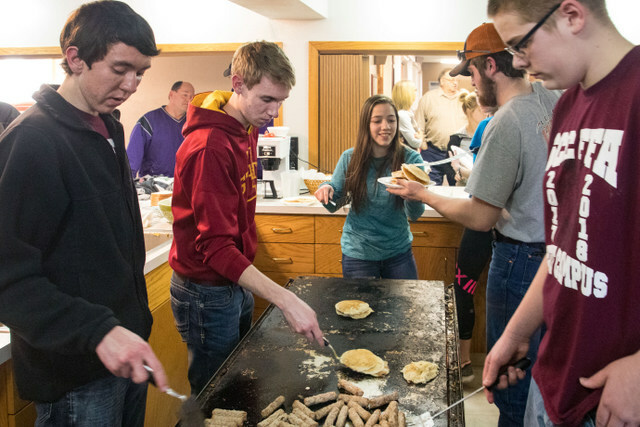 Members of the South Central Calhoun FFA chapter cooked pancakes and sausage during a Lytton Town Night fundraiser. While no one is quite sure when Lytton Town Night started, it has been around since at least 1980, according to local-time residents. 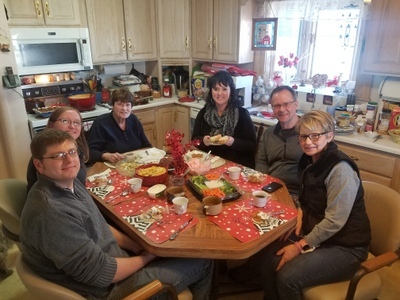 “It’s such a fun event, because you get to visit with friends and neighbors you don’t always see,” said Marlene Glasnapp, who lives with her husband, Roger, on a farm south of Lytton and is known as one of the best pie bakers in the area. Each Town Night event is promoted through the Lytton Town Crier and on social media through Facebook. 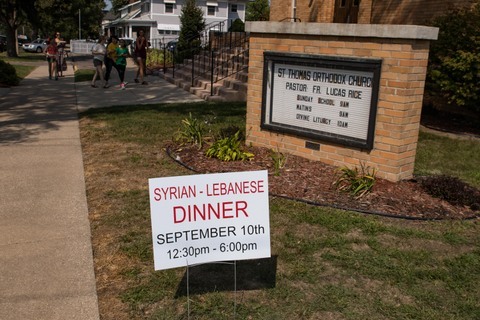 Each meal runs from 5 p.m. to 7 p.m. each Thursday evening during the winter. The popular gatherings attract people of all ages, from babies to grandparents. When the meal is done, the fellowship continues in downtown Lytton at the 1950s-era American Legion hall for bingo. “Town Night bingo has been called Lytton’s winter sport,” Bartels said. The evening of bingo lasts about an hour and a half, and participants can play as many cards as they want. Two cards cost $3, and the proceeds support the American Legion. This simple, hearty dish from Nelda Bartels of Lytton was served at the Gala Days fundraiser at Lytton Town Night in March 2018. Preheat oven to 350 degrees. Cook chicken with garlic powder. (Nelda uses a programmable pressure cooker and adds a couple cups of chicken broth.) Drizzle with olive oil. When done, shred chicken with a fork, and save the juice. 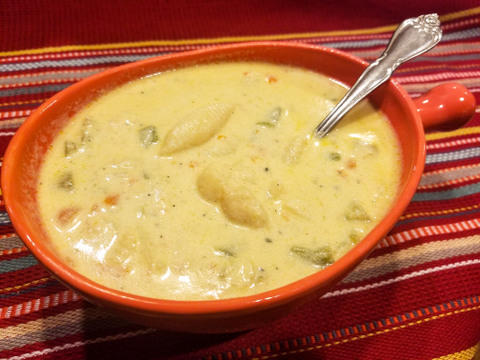 Combine the two cream soups, milk, cheese, cooked chicken, broth from chicken and pepper. (If desired, add some sour cream or cream cheese into the mixture for extra flavor and creaminess.) Add cooked macaroni. Stir the mixture and pour into a 9-inch by 13-inch casserole pan. 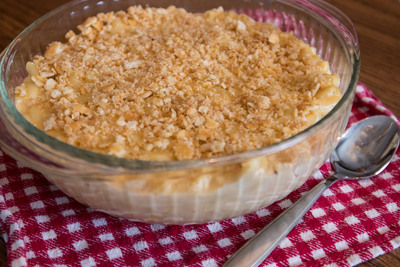 Top casserole with panko breadcrumbs. Bake at 350 degrees for 20 to 25 minutes. Brown panko topping under broiler on low for 3 to 5 minutes. Watch closely, since the breadcrumbs can burn quickly. 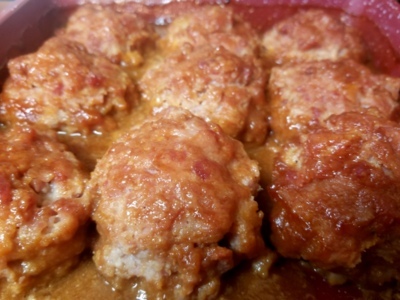 This tasty recipe comes from Nelda Bartels of Lytton. Preheat oven to 350 degrees. Brown hamburger; mix with spaghetti sauce. Pour sauce on bottom of 9-inch by 13-inch baking pan. Combine hamburger and bowtie pasta. Combine cottage cheese, cream cheese, and sour cream. Add to hamburger/pasta mix; pour in baking pan. Top with mozzarella cheese. Bake at 350 degrees for 45 minutes to 1 hour. This recipe comes from Susan Albright of Lytton. Preheat oven to 350 degrees. After cooking chicken, season to taste with garlic salt and onion. Combine sour cream and soup. Add cubed chicken and cooked spaghetti to mixture. Add salt, to taste. Pour mixture into greased, 9-inch by 13-inch baking dish. In a separate bowl, melt butter; add crushed crackers and poppy seeds. Sprinkle cracker mixture on top of casserole. Bake for 20 minutes. 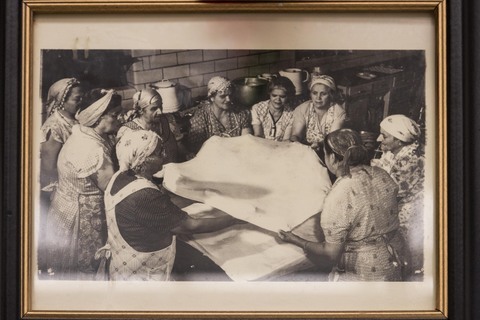 For decades, Marlene Glasnapp of rural Lytton has relied on this recipe, which yields approximately 6 crusts per batch. 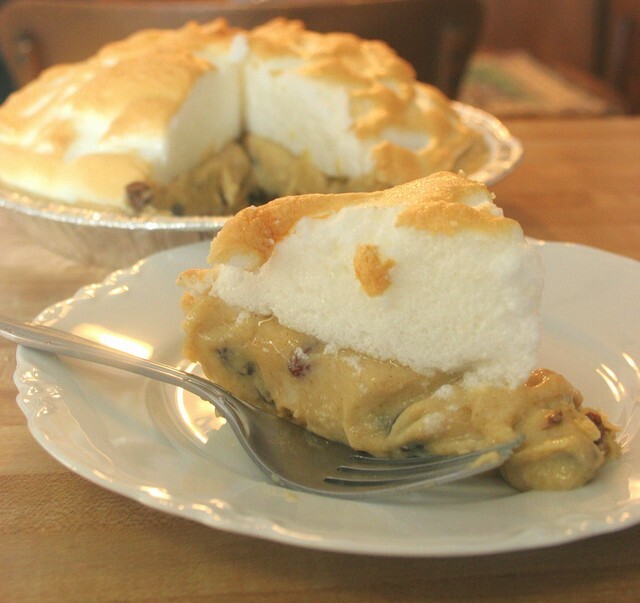 Marlene Glasnapp’s raisin cream pie is always a hit wherever it’s served. Mix dry ingredients with 1 / 2 cup of half-and-half, and set aside. Whisk egg yolks, and combine remaining half-and-half with the yolks. Add this mixture to the pie filling mix you set aside earlier. Add raisins to the mixture and stir over medium heat until thick. Cool slightly. Pour in baked pie shell and top with meringue. Dissolve 1 tablespoon of cornstarch in 1 tablespoon of water. Boil 1 / 2 cup water and add to cornstarch mixture. Cook until clear. (This can be done in the microwave.) Beat egg whites and gradually add sugar. Add cooled cornstarch mixture and beat to proper consistency. Spread meringue over top of pie, sealing to the edge. Bake pie at 350 degrees Fahrenheit until meringue has browned. Note from Darcy: I first wrote this piece in 2018 for Farm News. While soup is often considered little more than a prelude to something bigger, that’s not the case at the Rockwell City Fire Department. Throughout the winter, roasters filled with homemade chili, cheesy chicken noodle soup and other favorites make the fire station one of the hottest destinations in town. Murley and his fellow firefighter, Phil Hammen, co-chair the soup suppers, which are held the second Sunday of November, December, January and February from 4 p.m. to 6:30 p.m. at the fire station in Rockwell City. There’s no set fee to attend the soup suppers, which are supported by free-will donations. 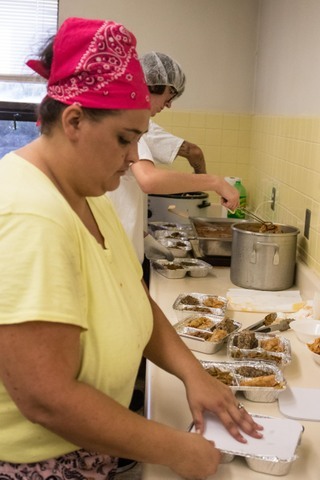 The volunteer firefighters serve two kinds of chili, cheesy chicken noodle soup, 8-Can Soup and more. 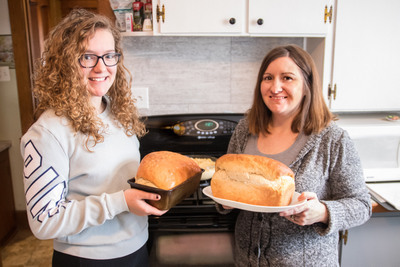 “This isn’t so much a money maker as it’s a way for the community to come together,” said Murley, who noted at the soup suppers have been held each winter for nearly seven years. Many of the guests come from Rockwell City, Lake City, Manson and Twin Lakes. “I like to stop by and help support another local fire department,” said Josh Waller, who serves on the Manson Fire Department and the Calhoun County Farm Bureau board. 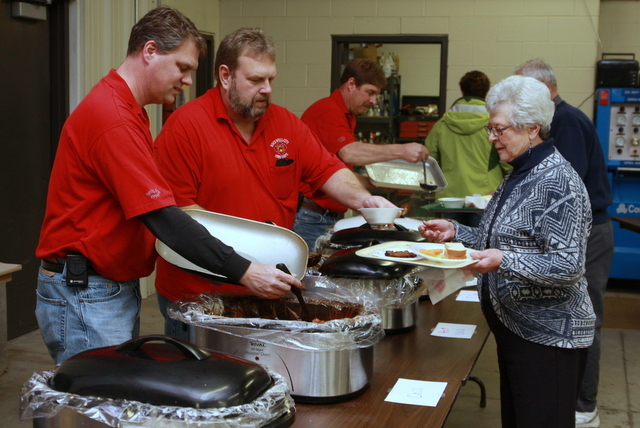 While each soup supper includes standard items such as potato soup and chili, the firefighters also mix things up with cheeseburger soup and other options. Each December, local supporters donate ingredients for the oyster stew, which is always a big hit. “They always have lots of good soup here and lots of variety,” said Toni Kerns of Rockwell City. The firefighters often begin making their soups on Thursday or Friday before the Sunday soup supper. “The key to a good soup is to give it enough time to develop plenty of flavor,” said Phil Hammen, who co-chairs the soup suppers. Perhaps the simplest—yet most talked-about—menu items are the famous lettuce sandwiches. These are just what they sound like—leaves of lettuce sandwiched between two slices of bread spread with mayonnaise or butter. 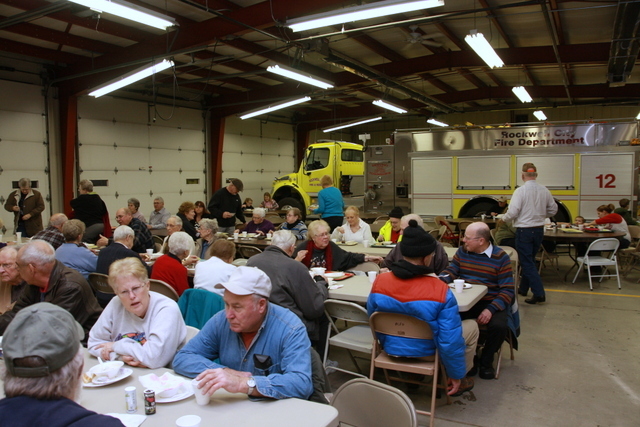 Cold Iowa winter nights don’t deter locals from enjoying the monthly soup suppers at the Rockwell City Fire Department. People often ask if this flavorful soup really contains eight cans of ingredients. 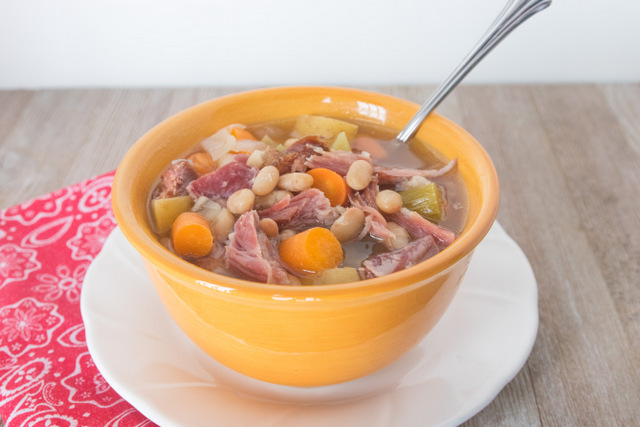 Yes it does, says Shane Voith, who has served as Rockwell City’s fire chief, who often multiplies this recipe by five to make this hearty soup for the soup supper. Combine all ingredients in a large slow cooker, kettle or roaster. Cook on low all day, or for 2 to 3 hours on high to get the soup hot. 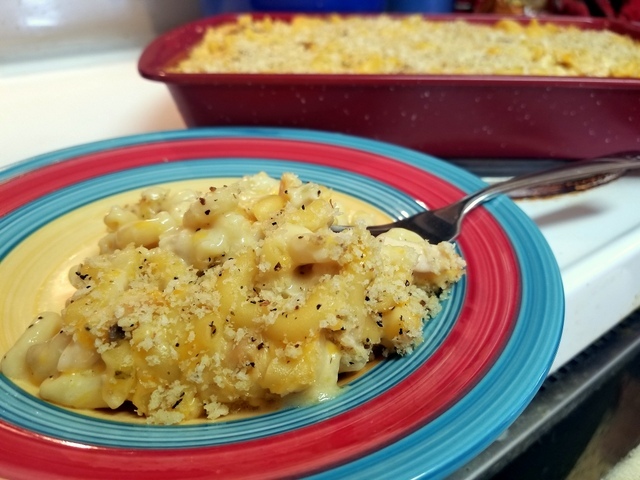 Jonathan Wetter, a Rockwell City volunteer firefighter, got this recipe from a friend. It’s reminiscent of both a sweet chili and calico beans. Combine all ingredients. Cook on low in a slow cooker or roaster for a few hours until hot. 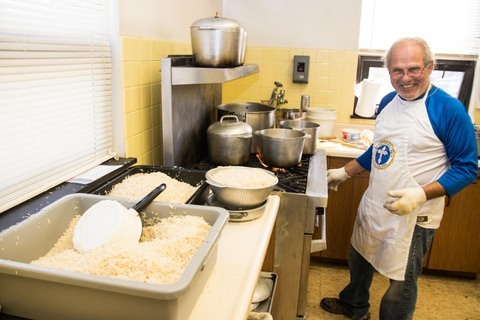 Duane Murley, co-chair of the fire department’s soup suppers, often makes three roasters of this chili, including one batch with hot peppers for a spicier chili. Combine all ingredients in a kettle, slow cooker or roaster. Cook on high for several hours or on low all day. 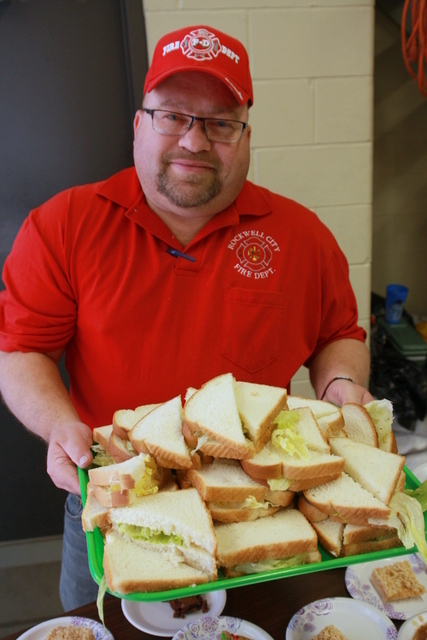 Phil Hammen, co-chair the fire department’s soup suppers, specializes in this filling Potato Soup. This recipe makes enough to fill one roaster. Combine all ingredients in roaster. Cook until soup is heated through. 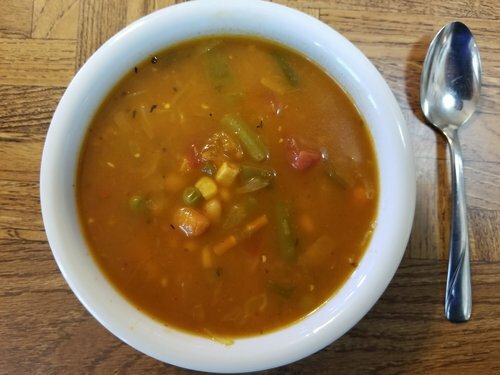 This perennially popular soup is prepared by firefighter Kyle Welander of Rockwell City. When he cooks for the soup suppers, he boils eight whole chickens, removes the meat from the bones and saves the liquid to make homemade chicken broth. Melt butter in a large saucepan and add flour. Add chicken broth and milk. Cook, stirring occasionally on medium-high heat, until the mixture starts to bubble and thicken. Add cubed Velveeta cheese, and stir until melted. Pour mixture into larger pan or kettle. Add 2 cups of cooked egg noodles and 2 cups cooked, diced chicken. Cook on low. To fill a roaster, multiply this recipe by eight. 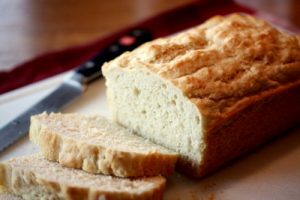 Spread slices of bread with mayonnaise or butter. Top the bottom slice with a few leaves of lettuce. Add top slice of bread to complete the sandwich. Shelly Hammen of Rockwell City often makes desserts for the fire department’s soup suppers, including this incredible cake that was made famous by Lois Hensel, a long-time cake baker from Lake City. 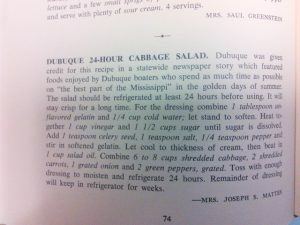 This recipe has been copied from a local cookbook. Place cake mixes in mixer bowl. Add 2 cups of water and start mixing. Add egg whites, vegetable oil, almond flavoring, butter flavoring and remaining 1 cup of water. Continue mixing for 2-3 minutes until batter is smooth. Line two sheet-cake pans (10.5 inches by 15.5 inches by 1 inch) with typing paper (paper may overlap). Pour half of the batter into the first pan. (This should weigh about 3.5 pounds or a bit more.) Place this pan on top oven rack. Bake 10 minutes at the recommended baking temperature on the cake mix box. Stir the rest of the batter a bit with a spatula. Pour this batter into second cake pan. When first cake tests done (by a light touch of a finger) after about 20 minutes, remove cake from oven. Place second cake on top rack in oven. Bake until done. Cool the first cake about 10 minutes, and run a knife around the four sides to loosen. Place a few layers of newspaper on both the cake top and on a bigger board. Holding securely, turn cake over onto the board, and peel liner paper off the cake. The brown on top of the cake will now adhere to the newspaper; peel off newspaper. Place prepared board over cake, holding securely. Turn board and cake over, and place liner paper on cake. Place this in a plastic bag and freeze. It will be easy to trim the four sides with a serrated knife when cake is removed from the freezer. Have icing ready. Stack four to five piece of 10.5-inch by 15-inch cardboard covered with tinfoil to hold each cake. Place egg whites in mixer bowl. Add a pound of powdered sugar. Mix, and add shortening and salt. As you continue to mix, add water, remaining powdered sugar, almond flavoring, butter flavoring, lemon flavoring and clear vanilla. Don’t beat—just mix until smooth and until the right consistency is reached, scraping the sides of the bowl with a spatula. Add more powdered sugar, if needed. This feature originally ran in Farm News. Everyone loves dessert at the soup supper. Would you believe me if I told you restaurant-quality prime rib is one of the easiest main courses to prepare, plus you’ll look like a gourmet chef in the process? Yep, it’s true. Take it from this Iowa farm girl. I adore the taste of prime rib. So tender, so robust, and bursting with all the flavor and juiciness that makes each bite a little trip to paradise. 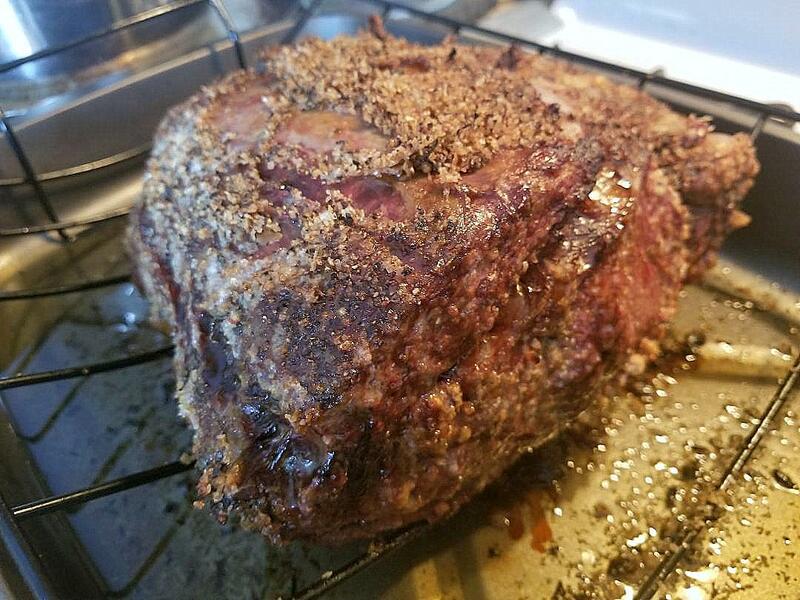 When my family asked me to cook prime rib for New Year’s Day dinner, I didn’t hesitate. The prep couldn’t be simpler, and the results are simply spectacular. When you serve this delectable prime rib, your guests (possibly even the vegetarians) will be begging for more. Select the right size roast. 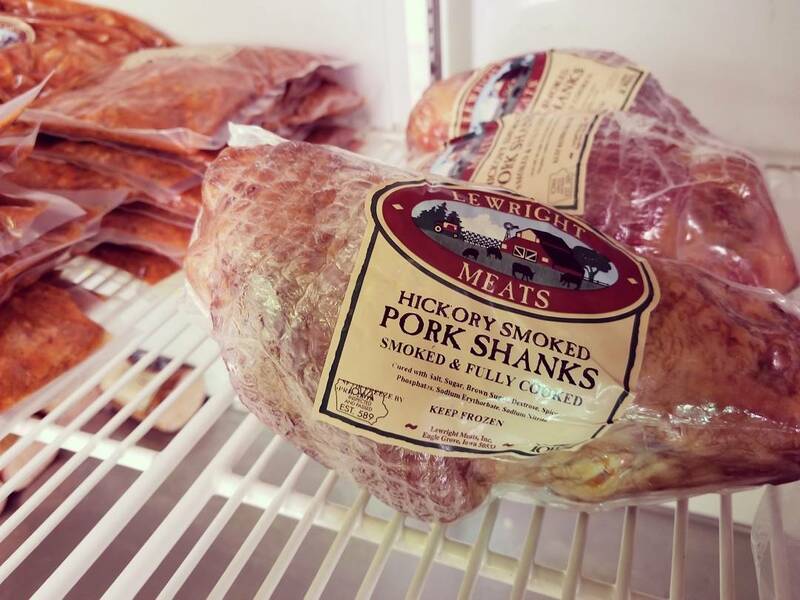 Allow at least 6 ounces of cooked, trimmed meat per adult. I cooked an 8-pound roast for our gathering, because I like to have leftovers. Beef and veggie soup, anyone? Preheat the oven. Crank it up to 450 degrees Fahrenheit, and let it heat up for about 30 minutes. Also, you can remove the beef roast from the refrigerator at this time. Gather your supplies. I recommend a metal roasting pan with a rack (like the one you might use to cook at turkey), olive oil, kosher salt, and fresh-ground pepper. Oh, and don’t forget to round up some soap and wash your hands thoroughly. We’re in the kitchen prepping food, after all! 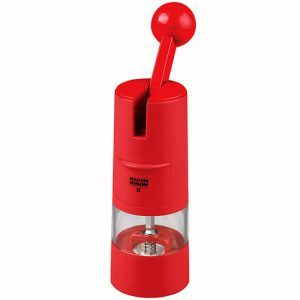 Rachet-style pepper mill in red! • A side note about fresh-ground pepper. I LOVE my Kuhn Rikon® high-output ratchet mill. (Check out a video here to see it in action). I appreciate the easy and speed of these wonder gadgets, plus I adore the red color of my pepper mill, since it matches my kitchen. One more thing—don’t think you’re limited to filling it with black peppercorns only. After interviewing a chef years ago about how to amp up the flavor in any dish, I took his advice and use of mix of peppercorns, including black, green, red and white, which bring a different flavor to the party. Season the beef. Follow the K.I.S.S. method (keep it simple stupid). Prime rib roast doesn’t need a marinade or any complicated preparations, since the meat speaks for itself. Drizzle olive oil on the roast. Spread it around the roast with your hands. Next, liberally rub kosher salt and plenty of fresh-ground pepper on the meat. I don’t measure—I just go with what looks right. If you’re thinking about using an herb mix to season the meat, I say go right ahead. I like to use this homemade herb blend that I learned to make at my dear friend Shannon Latham’s Enchanted Acres pumpkin patch near Sheffield, Iowa. 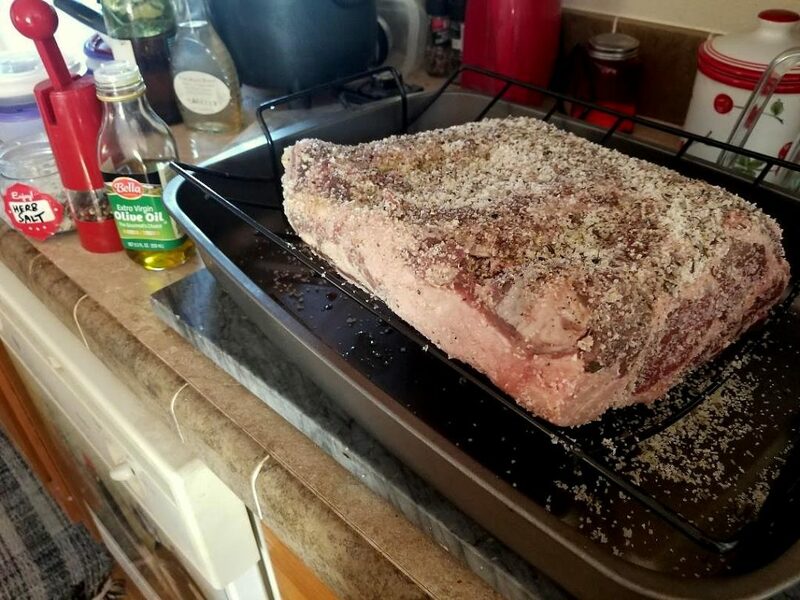 I’m a big fan of the recipe here for Save Summer in a Jar Herb-Salt Mix and used it on my New Year’s prime rib–divine! 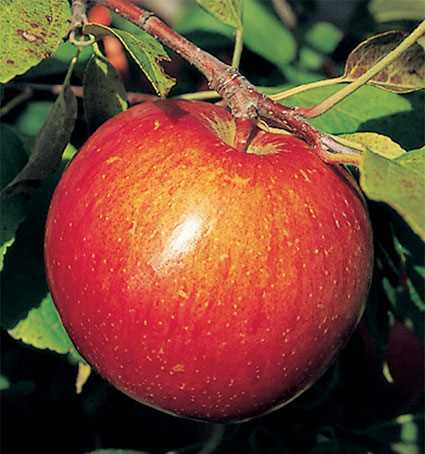 Thanks to my friend Mary Lovstad of Farm Girl Cook’n in northern Iowa for all the inspiration! Bake. Place the meat in a roasting pan that’s slightly bigger than the roast itself. I like a roasting pan and roasting rack, myself. Note–one side of the meat will have more fat on it. You want the fatty side facing up so the meat will baste itself as it cooks. Finally, don’t add water to the pan, and don’t cover the roast. Just pop it in in the oven. Timing is everything. How long does it take to cook a prime rib? Well, it depends. I like to start with a high temperature (450 degrees) for the first 30 minutes. Then I drop the heat to 325 degrees and allow about 13 to 15 minutes of cooking time per pound of beef. DO NOT keep opening the oven door to check the meat. Just enjoy the tempting sizzle as the pan drippings appear during the first phase of cooking. Then savor the aromas as the beef finishes cooking over the next few hours. A thermometer is the best way to guarantee the roast turns out exactly the way you want it. For an accurate reading, push the thermometer into the middle of the roast, making sure the tip is not touching fat or bone (or the pan). FYI–medium rare is about 130 degrees F. If that’s what you’re going for (confession–it’s my personal favorite), take the meat out of the oven when it’s around 120 degrees F. Remember that the roast’s temperature will rise at least 5 degrees after you remove it from the oven. With prime rib, it’s easy to satisfy everyone’s preference for doneness. The slices taken from the ends of the roast will be the most done, and the middle will be the least done. Add a little something extra. When the roast is done make sure you use the drippings in the bottom of the pan to make gravy. Then you’ll have a head-start on the most flavor-packed beef stew you can imagine. Place the roasting pan on top of the stove over 2 burners set on high heat. Add the wine to the pan drippings in the pan and cook over high heat until reduced, scraping the bottom of the pan with a wooden spoon. Add the stock and cook until reduced by half. Whisk in the thyme and season with salt and pepper, to taste. Tell me all about it. Bottom line? Do not fear cooking prime rib, even though this is a pricey cut. You can do this! When you do, be sure to leave a comment, e-mail me, post on social media and tell me all about it. “Prime rib” is not a specific cut of beef but is actually a preparation method for a beef rib roast. If you know the standard meat roasting method, you can make prime rib out of several types of beef rib roasts, according to my friends at the Iowa Beef Industry Council. Check out their handy Beef Roast Basics guide. You’ll find tips on how to know what size beef roast to purchase, how to carve meat like a pro and more. 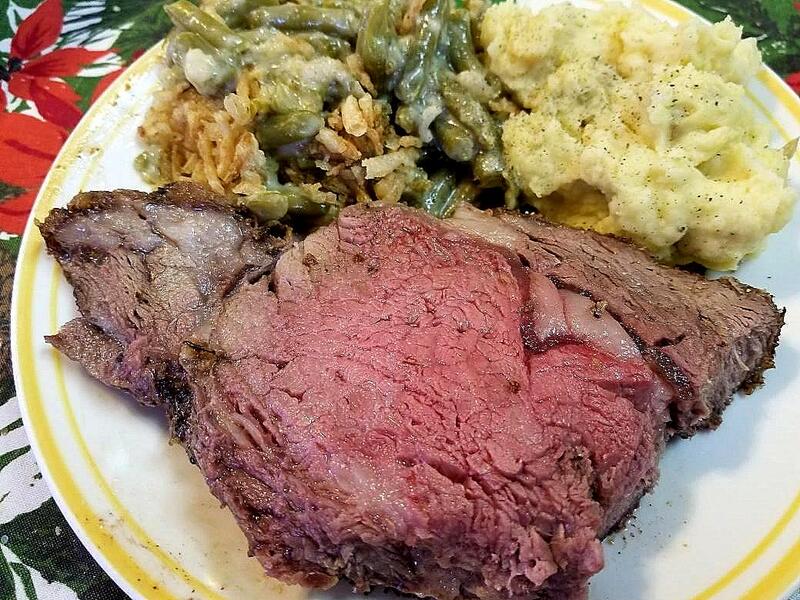 How’s this for a plate of prime rib perfection? With my background as an ag journalist, I love to highlight agriculture, especially Iowa agriculture. Why do we know beef here in the Heartland? Because Iowa is in the top 10 beef-producing states in America, terms of all cattle and calves (ranking #7). In 2015, Iowa’s cattle industry contributed more than $6.9 billion in business activity to Iowa’s economy. * Sources: Department of Economics, Iowa State University; Iowa Agricultural Statistics, U.S. Department of Agriculture; 2017 Cattle Inventory Report National Agricultural Statistics Service (NASS), Agricultural Statistics Board, United States Department of Agriculture (USDA). There’s no such thing as too much beef if you love it as much as I do. I think my friend Larry Irwin would agree, especially when it comes to hamburgers. Make no mistake, the humble hamburger still reigns supreme from backyard barbecues to fast-food drive-ins across Iowa. But this Iowa icon also provides the perfect palette for culinary creativity when Larry Irwin showcases his Burger of the Month flavors in my hometown of Lake City. Get the story and the recipes here. Also, get your grill on and build a better burger with my top tips. Finally, I just had to share this photo below. My relatives in Webster County, the Walrod family, did extremely well on the show circuit this year with their beef cattle and took top honors with their Limousin cattle at the Iowa State Fair. 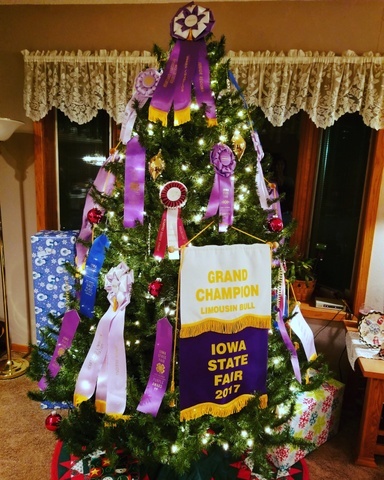 Why not decorate the Christmas tree to celebrate a banner year? Love the thrill of the grill? I sure do, especially when I’m crafting a thick, juicy burger I can sink my teeth into. While we talk a lot about burgers during May Beef Month, how much do you really know about this American icon? The classic hamburger we know and love today is very much an American invention. Stemming from German culinary roots, the burger-on-a-bun phenomenon gained widespread fame at the 1904 St. Louis World’s Fair. Disaster struck two years later, however, when Upton Sinclair’s novel “The Jungle” (remember the book’s lurid details from high school literature class?) detailed the unsavory side of the American meatpacking industry. Ground beef became a prime suspect, since it could easily be adulterated with questionable additives. The hamburger might have faded away as a long-forgotten fad were it not for Edgar Ingram and Walter Anderson. When they opened their first White Castle restaurant in Kansas in 1921, White Castle countered the hamburger’s unsavory reputation by becoming bastions of cleanliness, health and hygiene. This paved the way for national hamburger chains founded in the post-World War II boom years, including McDonald’s. Iowa has made its own distinctive contributions to America’s burger history. Consider the wildly popular Iowa’s Best Burger contest, sponsored by the Iowa Cattlemen’s Association (ICA) and the Iowa Beef Industry Council (IBIC). 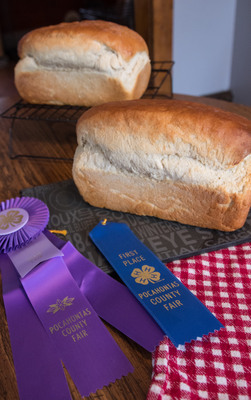 Iowans submitted more than 9,200 nominations for this year’s contest. Nearly 500 Iowa restaurants were represented in 2017 in the total nominations, setting a new record for the contest. As a former judge of Iowa’s Best Burger contest, I can tell you how tough it is to pick a winner. 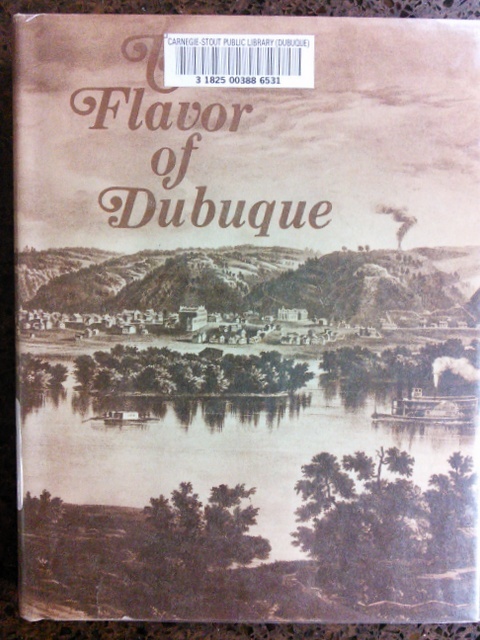 Iowans know how to make bodacious burgers, a story I made sure to include in my “Culinary History of Iowa” book. Size matters when it comes to the Gunderburger at the Irish Shanti, which made the 2017 Top 10 list. The famous Gunderburger started in the late 1970s to put the tiny northeast Iowa community of Gunder on the map. The first Gunderburgers were a smaller version of the one served today. As the Gunderburger started growing in size in the 1990s, its notoriety also grew. Another 2017 Top 10 Best Burger in Iowa contender is the Ankeny Diner, which offers Maytag Burgers, featuring Iowa’s famous Maytag blue cheese, sautéed onion and Monterey jack cheese. Don’t care for blue cheese? Maybe you’d prefer the Rarebit Burger, served open-faced and topped with spicy Cheddar cheese sauce. Rarebits were legendary at the iconic Younkers Tea Room in downtown Des Moines for decades. An Iowa-style rarebit burger elevates the traditional Welsh rarebit, which incorporates leftover bits of cheese and the end-of-the-loaf slices of stale bread for a quick supper. Speaking of Des Moines, the historic East Village is the home of the incomparable Zombie Burger. A previous Top 10 Best Burger in Iowa contender, Zombie Burger serves “gore-met” creations made from the shop’s own custom three-cut beef burger blend. With locations in downtown Des Moines, Ankeny, West Des Moines and the Iowa City area, Zombie Burger is distinguished by classics from the Undead Elvis (a burger paired with peanut butter, fried bananas, bacon, American cheese and mayo) to the Walking Ched (a burger featuring bacon, Cheddar cheese, caramelized onions and mayo on a deep-fried macaroni-and-cheese bun). 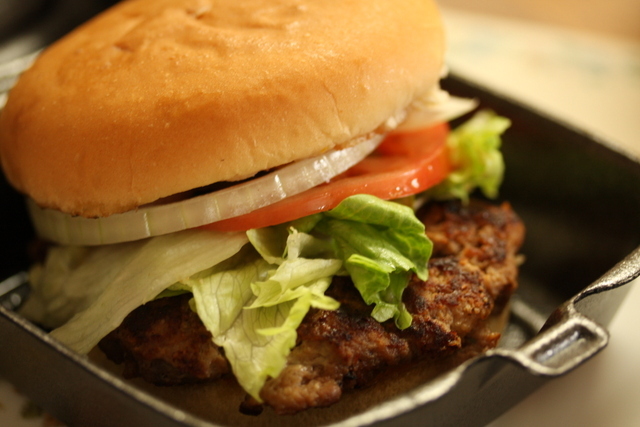 • Choose fresh 80/20 ground beef, which provides enough fat to keep your burgers juicy and flavorful. • Worcestershire sauce adds a whole new depth of flavor to burgers. Add in a healthy dollop and mix it into the meat before forming the patties. • Use your thumb to create a dimple or well in the center of each patty on the bottom. This helps ensure that the burgers cook evenly. Don’t worry—the indentation will hardly be noticeable by the time the burgers are ready. • Cook your burgers over medium heat. 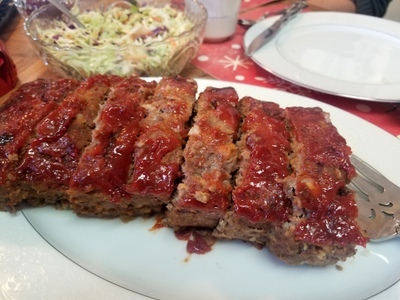 • As the patties cook, sprinkle them liberally on both sides with a mixture of salt, fresh-ground pepper, Lawry’s seasoning salt, garlic powder and onion powder. • Avoid using your spatula to press down on your burgers while cooking. Don’t let all those flavorful juices escape. • Allow your burgers to rest for a few minutes before serving. This will ensure that the juices redistribute into the meat. Enjoy! Have any favorite burger recipes or cooking tips? I’d love to hear them. Now go get your grill on! 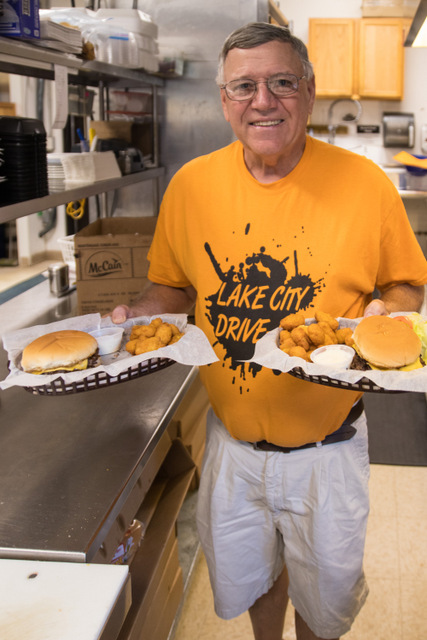 Larry Irwin shows off some tasty burgers from the Lake City Drive-In. If you’re hungry for more stories of Iowa history, Larry is kind enough to carry my books at the Lake City Drive-In. Not close to Lake City? 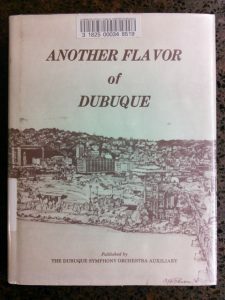 I invite you to visit my online store, where you can purchase my top-selling “Culinary History of Iowa: Sweet Corn, Pork Tenderloins, Maid-Rites and More” book from The History Press, as well as my “Calhoun County” book from Arcadia Publishing, which showcases the history of small-town and rural Iowa. Order your signed copies today! Iowa postcards are available in my online store, too. One more thing–check out more of my blog posts if you want more Iowa stories, history and recipes, as well as tips to make you a better communicator. If you like what you see and want to be notified when I post new stories, be sure to click on the “subscribe to blog updates/newsletter” button at the top of this page. Let’s stay in touch! This originally appeared as one of my weekly columns in Farm News.